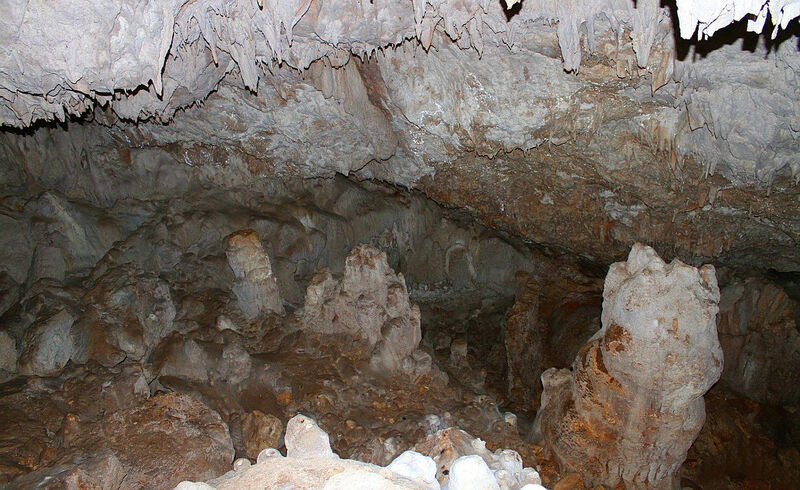 A Dutch speleologist has started to collect information about all caves of Corfu. With the help of many local residents 77 caves could be studied and mapped. The study of more than 87 (unknown) caves continues. Fundraising and sponsoring is needed to proceed the research and to develope ecotourism and local tourism. ﻿Corfu is one of the most famous islands in Greece for its major historical interest and unique natural beauty. The Ionian island with its idyllic beaches attracts thousands of visitors every year. The northern part of the island is mountainous and dominated by Mount Pantokrator (911 metres). The central region has valleys and hills at intervals and the southern region consists of uninterrupted fertile plains with a few hills. Income on Corfu comes mainly from agriculture and tourism. When the last tourists leave in October, daily life in Corfu becomes very different. Along the coast, most hotels and tourist shops close their doors and life takes place mainly in the inland villages. Then the residents will be harvesting olives and working the land. Winter tourism in Corfu is still relatively unknown while nature in spring and autumn is at its best. Eco tourism is developing worldwide more and more. This form of tourism still needs encouragement and promotion on Corfu, a place so endowed by nature, with rivers, waterfalls and spectaculair caves! Good reasons to bring the recent research of the caves on Corfu to your attention and to promote it internationally. 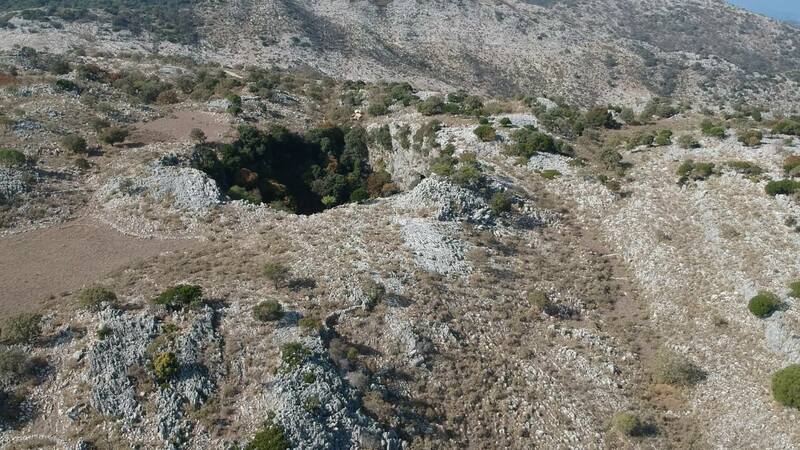 A Dutch speleologist has started to collect information about all land and sea caves of the island of Corfu by reading and studying old Greek literature, by analysing (Venetian) maps and, most important, by speaking with villagers. Mainly the elder generation can tell about caves which have been hidden for decades by thick vegetation, and about their history. Also they can tell interesting stories about the caves. Myths, legends, ghosts, dragonflies are strongly believed in. Until now information about more than 164 caves has been collected. For finding the exact location of some caves help is needed from local residents, forestry scientists and the fire brigade. Often the road to and the entrance of the cave needs to be cleared of dense vegetation. 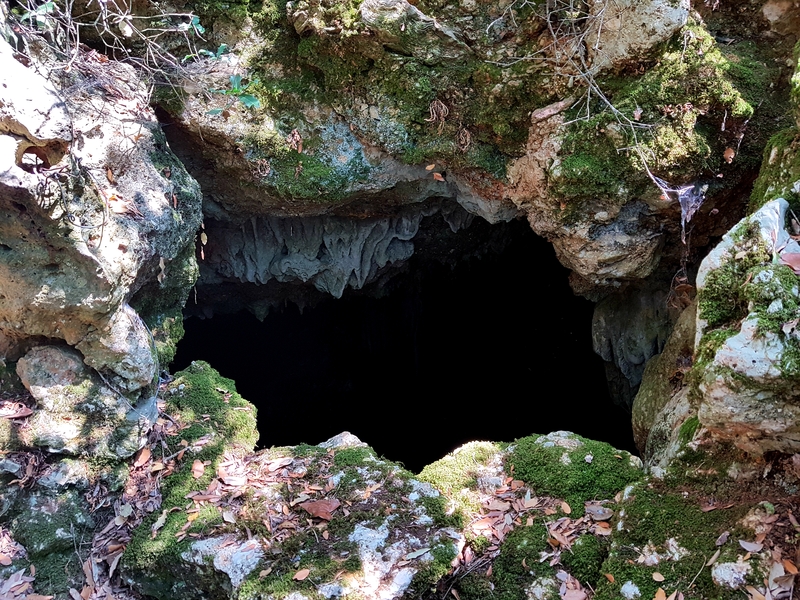 Some caves can only be re-explored with assistance of a Greek speleologist or a member of the Corfu rescue team because of height or danger. 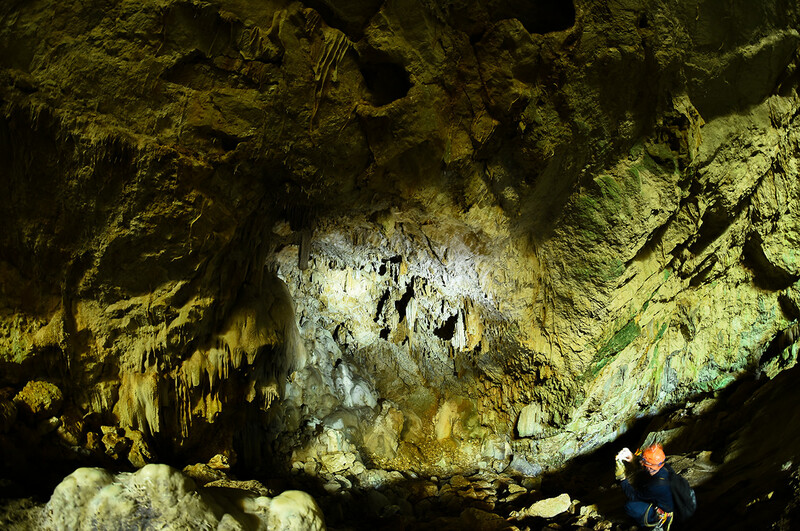 With the enthusiasm and help of many local residents 77 caves could be studied and mapped. Also their flora and fauna like the ordinary Corfu cave crickets could be investigated. 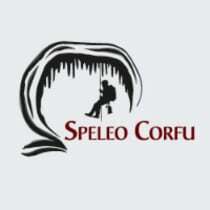 The first results of the research are published in local media and on www.speleocorfu.com. The study of more than 87 caves continues. Some of them are big or deep, very high located or known for an extraordinary history. It is very important to continue the current research to the caves and to promote eco tourism. The caves that have been studied and mapped and which are suitable for tourists or (foreign) speleologists, must be made visible and be clearly marked, maintained and keep up. Although there are many enthousiastic volunteers, fundraising and sponsoring is urgently needed. Local workers need to be paid for pruning the vegetation, also, professional pruning and speleology material needs to be purchased and specialists’ help, like of foresters is are absolutely necessary. Also expenses for the upkeep of already studied caves need to be covered and the additional expenses for putting up signs. To keep the public informed costs will be made to keep the data base on line and updated. All your help is greatly appreciated!